More in this Section... Generosity That Knows No Bounds Management Resources Manage Volunteers Online Learning Why Your Program Needs A "Big Bang" Theory Of Change Volunteer Management Workshops Volunteer Management Workshops Happy International Volunteer Managers Day! Grab A Coffee, Take A Seat and Let's Learn! Volunteer Toronto's training sessions deliver information and resources in a hands-on, interactive way. Our goal is to give you practical information that will help you to broaden your skills and improve your volunteer program. By attending an in-person training sessions, you'll gain insight from the experiences of your colleagues and have the opportunity to ask questions about the particular issue you face, all while learning important information about trends and best practises in volunteer management. Volunteer Toronto Full Subscribers receive a 40% discount on all in-house and online training sessions. Check out our low cost subscription package and sign-up today! Volunteer Toronto is a certified trainer in the Achieve Ontario system. 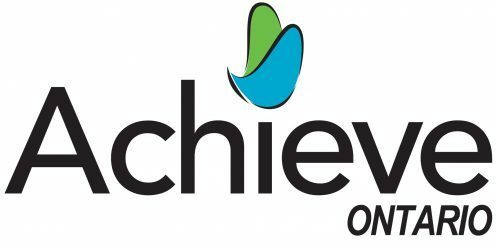 Stay tuned to this page for future Achieve Ontario training sessions, and to learn more about this free volunteer recognition software, click here. All workshops are recognized as ongoing professional development for certification/recertification with PAVRO (Professional Association of Volunteer Leaders - Ontario). Check out all 2019 Training Sessions for Volunteer Managers here. "Just wanted to send a quick email to say how glad I am that I was able to attend your workshop today. It was interesting, informative, helpful and fun! I was also inspired by how much information and collaborative group exercises you were able to pack into such a short amount of time! Your workshop was one of the best I have attended in a long time so a big thank you to you and Volunteer Toronto."